Today is my lucky day, while I searching for Hotwheels car, the Mattel promoter is arranging the stock next to me. 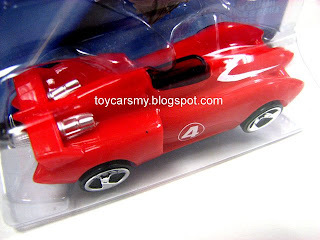 Over the conversation, he told me that the latest Speed Racer series has red colour car is limited edition, just like T-Hunt. 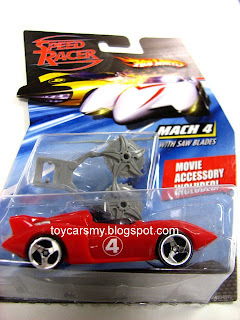 From what I observed from his stock, 1 box of Speed Racer cars only have 1 unit of Mach 4. So, total of 2 boxes he opened only have 2 cars. T try to buy extra to keep. It already hard to find.